1 Day Until You Can Win Big with the #LivligaBigReveal on Twitter! One day until the Livliga Big Reveal! You can be one of the BIG winners just by checking in @LivligaHome on twitter. 30 people are going to be VERY LUCKY soon! We are having fun building up to the big day. Livliga is in the midst of a #LivligaBigReveal on twitter. The Reveal will happen tomorrow-- Cyber Monday, December 1 at 7AM. We have been asking questions and sharing information to hopefully get all of us thinking about being healthy through the holidays. Come join the fun and help us promote this fun event. Share with those you know-- we sure would appreciate it. Let's have some healthy fun and help some lucky people-- including you!-- win big tomorrow! Go to twitter, become a @LivligaHome follower, and get ready to win! Join in the Fun of #ShopSmall Saturday! Livliga , elegant portion control dinnerware, is one of the many small businesses around the country and in your local community. As you prepare for the holidays and are buying special gifts for the ones you love, please consider buying from small businesses in your community and online. Thank you! Great Ways to Use Thanksgiving Turkey Leftovers (photo by LivligaHome). It is the day after Thanksgiving and we are all tired of cooking and have lots of leftovers in our refrigerators. How do we face making the next meal? By using the leftovers in a new, easy, yet different way. People seem to have strong feelings about leftovers. Many are adverse to leftovers, hating the idea of eating day old food. Others, like me, love leftovers because it means for me that I can leverage the efforts of cooking for more than one meal. I also save time and can have food ready to go in Tupperware for taking to work or for making measuring the next meal mindless. One way I have found to make using leftovers more appealing to everyone is to use leftover ingredients in new recipes. Leftovers no longer have the baggage of "same old same old" if you use them up in different recipes. It is easy to add leftover turkey in salads, chilis, soups and sandwiches. And there is always the longtime tradition of making turkey tetrazzini with leftover Thanksgiving turkey. Two other favorites of mine are a no cook Apricot Turkey Salad Sandwich and a Barley Salad with Dried Cherries and Roasted Turkey. These are both recipes that are easy to do and real crowd-pleasers. They are also recipes that can be adapted to feed any number of people which can be handy when you have extra family around during the holidays. Spatchcocking a Turkey for Easy and Quick Roasting (photo by LivligaHome). My husband has been talking about spatchcocking a turkey for Thanksgiving for a couple of years. This year we decided to do it. What is spatchcocking you may ask? Simply, it means taking the backbone out of a whole turkey. It is like butterflying a leg of lamb. The word and technique dates back to the 18th century. Spatchcocking a turkey has only recently become popular, however. One article I read attributes the popularity of spatchcocked turkeys to Mark Bittman, well-known food writer for the New York Times, who started talking about it in 2002 and then made a video of it in 2012. The real reason you spatchcock a turkey is to cut your roasting time significantly. What used to take hours will now only take about 45 minutes! The other benefit is it fits into small ovens. Ever know of a situation where the stuffed turkey ends up being too big for the oven? In researching the technique my husband landed on a recipe and video he liked from bon appétit. It is not difficult to do but it does require a sharp knife and a bit of force. Spatchcocking requires a sharp knife and a bit of force (photo by LivligaHome). The suggested dry rub for the turkey was heady with smells of fresh orange zest and aniseed. Interestingly you do not cook the turkey with the rub. Instead you marinate it for a number of hours and then rinsing off the rub before roasting. We liked the rub a lot but you can prepare your spatchcocked turkey any number of ways. So what is the verdict on spatchcocking? It is easy to do and does in fact allow you to cook your turkey in 45 minutes. Our turkey was also delicious. Something to be aware of--no longer can you present a whole turkey at the Thanksgiving table with the same visual appeal. The new appeal is cutting up the turkey in the kitchen, arranging it attractively on a platter and then bringing it to the buffet ready to serve up. The new appeal is cutting up the turkey in the kitchen (photo by LivligaHome). We will definitely repeat spatchcocking our turkeys. In fact, we just may eat whole turkeys more often in the future because it will no longer take so long to do and the meat is so juicy. We are thrilled to know about this new technique! #LivligaBigReveal is coming up! Find out how you can win big! Six days until the Livliga Big Reveal! 30 people are going to be VERY LUCKY! Go to twitter, become a @LivligaHome follower, and share your opinion on today's question! Recent Study Shows: Sugary Sodas Shorten Lives (photo by LivligaHome). 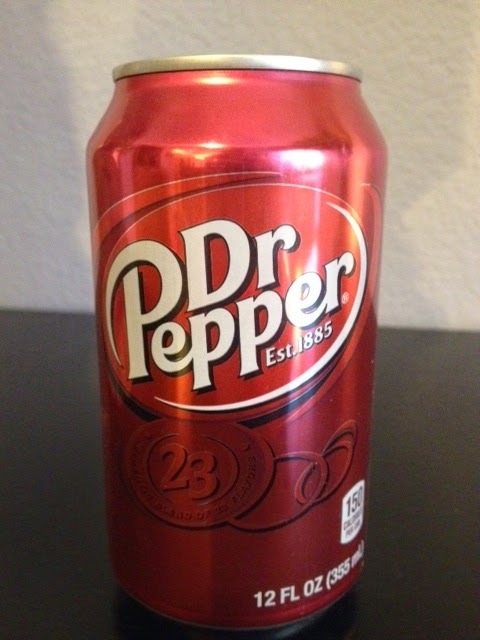 A recent study performed by the University of California, San Francisco (UCSF), and published in the American Journal of Public Health found that regular consumption of soda pop actually ages our cells. All it takes is drinking 20 ounces of sugary soda a day to age your body almost by 5 years in a matter of months. Diet soda does not have the same effect. Interestingly, the study showed that it didn't matter whether you were overweight or at your ideal weight, those that drank the sugary sodas aged at the same rate. The aging of our bodies most notably takes place in our chromosomes. As we age the telomeres at the tips of our chromosomes shorten. How short our telomeres are is a great way of understanding our age and the aging process of our bodies. What scientists are now discovering is that certain environmental factors can age us much more quickly. Because of this study sugary soda pop has been put in this category. When we age we are more susceptible to disease. Not only are we shortening our lives we are also increasing our vulnerability to becoming chronically ill with diabetes, heart disease and various cancers. As Elissa Epel, PhD, professor of psychiatry at UCSF and senior author of the study states in a recent UCSF article, “Regular consumption of sugar-sweetened sodas might influence disease development, not only by straining the body’s metabolic control of sugars, but also through accelerated cellular aging of tissues." Anyway you look at it, sugary sodas are not good for our health. If you are hooked on sodas, its time to acquire a taste for diet soft drinks. You will feel better and live longer if you do. A healthy and stress-free party is pre-planned with a healthy meal-making menu made complete with right-sized dishes and glasses, flowers, music and fun napkins (photo by LivligaHome). The first thing you need to know when having a healthy and stress-free party or a Livliga Lifestyle party, as I like to say, is what “Livliga” means. It is a Swedish word that means lively, vibrant and vivid. The idea is that if you are providing visually appealing, healthy food and drinks people will feel better, have more energy to party and will definitely have way more fun. So where does one start when getting organized for a Livliga Lifestyle party? First things first– it all starts with the menu. It is key that you pre-plan the menu and the preparation of the food. There are many dishes that can be made ahead of your party day. By thinking through the foods and dishes you choose you can make sure they are healthy choices and that they can all be prepared in time for the first doorbell ring. In choosing recipes for your menu, include items that are healthy, filling and can provide a balanced meal. Even if you set up your party more like a cocktail buffet, think about foods that can make people feel they have eaten a meal. It will help everyone to feel satisfied and not over eat. Make sure to keep it simple. Pick recipes that have no more than 10 ingredients and do not have complicated instructions. In fact, make sure you include tried and true dishes you already know how to make. Next make sure to plan out the cooking so you can prepare most items ahead of time, not just the day of. With desserts I have even been known to make them way ahead and freeze them so I can make sure to get all the cooking done in a manageable fashion. Choose foods that are visually appealing. Picking colorful dishes can do this. Also think about visual variety so each dish does not end up looking the same. Then you can enhance overall visual appeal through the presentation of each dish, which can be as easy as adding parsley and cleaning the sides of the bowl or platter before serving so it doesn’t look “messy” to the eye of your guests. Right-size your portions. Think about foods that can be served up as individual servings which includes muffins, cookies, Bibb lettuce filled with a serving size of pasta or any variety of salads and grains; another good choice is using endive leaves with appetizer servings of other dishes you provide; also easy is serving up dips with sliced vegetables in a rainbow of colors. These are all simple self-serve options that have been pre-served or cut into measured out portions. Keep drink choices simple too. Get in the habit of always offering a low calorie, non-alcoholic choice, even mentioning it first. This can be as easy as sparkling water infused with cucumber or lemon. I have a lot of fresh mint in my garden so I often garnish sparkling or tab water with a sprig of it. It smells wonderful, adds a fresh hint of mint to the drink and looks so inviting. And you can’t beat how easy it is to do. I recently had my own Livliga Lifestyle party at my home. Now with the holidays coming upon us I thought I would offer up my own menu as a springboard to build your own healthy and “Livliga-styled” menu. To complete your preparation for a Livliga Lifestyle party make sure to right size your dishes and glassware. Your guests will thank you later. No one really wants to over eat. People do want to enjoy what they eat. Right-sizing your dishes and glasses allows them to do just that. Choose salad plates or dessert plates, not dinner plates if it is a buffet. If you have different sized wine glasses, choose the smallest size. There are also beautifully designed right-sized dishes and glasses now available if you need some upgrading for healthier lifestyle choices. Check out Livliga to see what I mean. Remember a couple of finishing touches to add to the festive nature of your party. A bouquet of flowers in a strategic place for guests to enjoy is always a plus. You can even use fun fruits or vegetables from the grocery store to dress up a table and add some visual interest. Think about music too. It can add to the mood and ambiance of your party. With the ease of Spotify and Pandora you can pipe music throughout your home with a click on your computer. Picking out some colorful paper napkins can add color and integrate the theme of your party. If you have time, you can even roll your flatware in the napkin, tie it with a coordinating ribbon and place the rolled napkins in a wide vase or bowl to make a beautiful centerpiece for. Now that you have everything planned and organized, remember that you should have fun too. 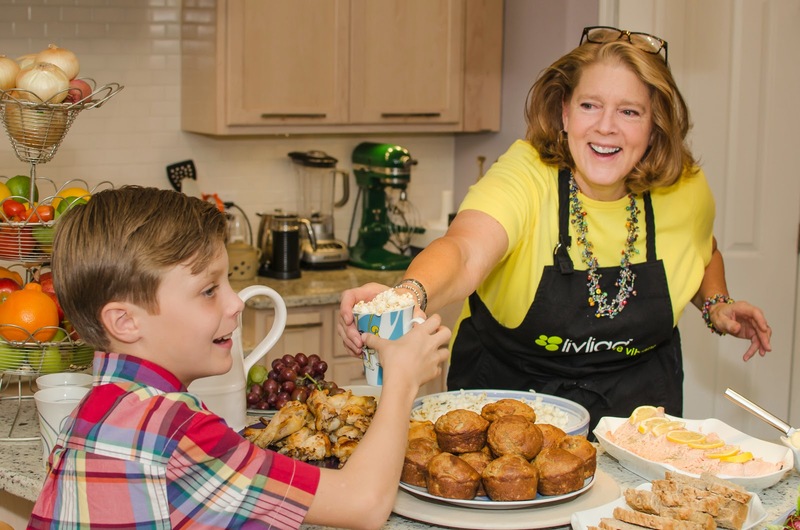 By thinking through the menu and the preparation of all your party fixings, you can. There is no need for you to get overwhelmed, you can never go wrong with simple and colorful. 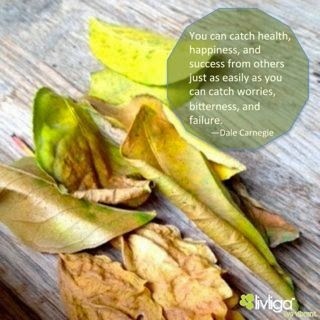 What good things can you catch from others? 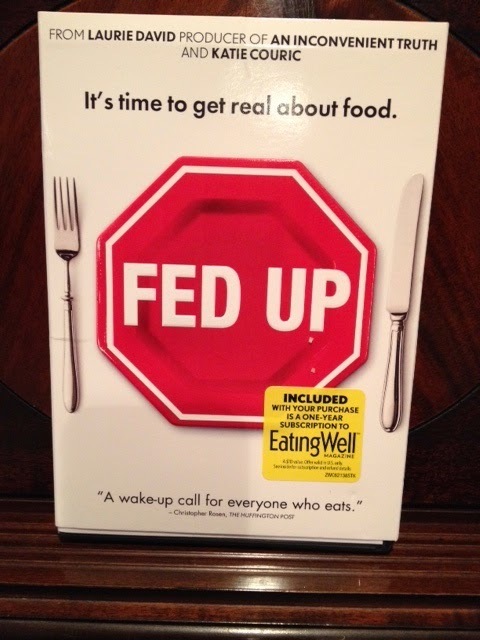 Movie Review: Fed Up or “How We Have Been Duped, Drugged and Diseased”(photo by LivligaHome). 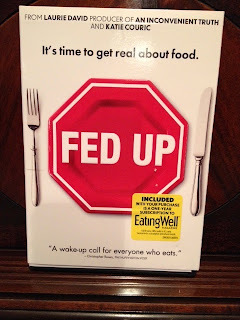 My husband and I finally found an evening this week when we could watch the movie Fed Up. I ordered it in early summer and have had it to watch for a while. Shows you how crazy our lives have been! I am so glad we waited. 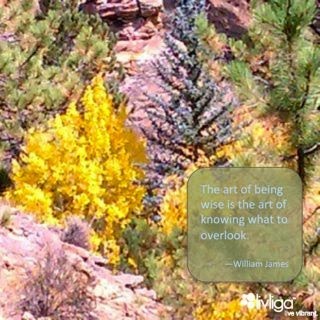 It requires you to really pay attention and absorb a lot of information. Important information. Really important information about our sugar addiction, its direct influence on diabetes, heart disease and cancer and then how its consumption and consequence is completely wrapped up in the actions of our government and our politics. The movie makes direct parallels between the sugar/food industry and the cigarette/tobacco industry. It is scary how similar the story is between the two. Just like with the tobacco industry, the food industry has known for decades that the sugar in the food we eat is killing us. Clear back in 1977, almost 40 years ago, the McGovern Commission issued a report identifying the coming surge of obesity and defined our first dietary goals for the USA. Then, just like the tobacco companies, the food companies lobbied to have key parts of the report removed or restated so it would avoid a negative impact for business and would, in fact, provide for a whole new line of foods we now know as “low fat”. Instead of limiting sugar in take, as was initially recommended by the report, the rewrite allowed for even more sugar to be introduced into our diet, all under the guise of “low fat”. The movie states the shocking fact that from 1977 to 2000 our intake of sugar has more than doubled. It is no wonder that by the year 2050 one in three people is expected to be living with diabetes. Another important point the movie makes is how addictive sugar is. One of the research studies sited is one where rats have been given a steady dose of cocaine until they have become addicted to it. Then they are given a choice of choosing between more cocaine or sugar water. Guess which one they chose? Yep, you guessed it, the sugar water. Just like the rats, people can’t seem to get enough of it. In fact, another study shows that the more sugar we eat the more our brain is altered into thinking we are hungry so we keep on eating…and eating…and eating. And as if that wasn’t bad enough, we are receiving cues constantly to eat more. This is particularly true of our children. Ever watched Saturday morning cartoons with a child? It is filled with commercials of sugary foods. Even the shows are filled with branding references to the same sugary foods. Or their favorite characters are co-branded with unhealthy foods to provoke parents to buy them to appease their kids. Kids can’t get away from the cues whether it is TV commercials, school cafeterias, the images in their gyms or sports fields, the check out isles at the grocery store, the photos in fast food restaurants, or the billboards on the way to school. From the moment kids are born we feed them sugar in just about all the foods they eat, including baby formula, and we brainwash them with images of sugary foods. The movie makes the stunning point that sugar, like any addiction, is ruining our lives and our health. We are even killing our kids with it. Not only is our sugar addiction ruining our lives it is bankrupting our families and our government. And if that wasn’t bad enough it is also limiting our ability to perform. We aren’t fit enough to protect our country or clear headed enough to be innovative. We are too focused on our addiction and the diseases it causes to be able to do anything else. It does get you fighting mad. The movie clearly wants to get us all mad enough to do something about the obesity epidemic and one of its key culprits—sugar. This movie is a wake up call. There is no doubt we are obligated to get involved and force the change we need. Just like we did with the tobacco industry. Sugar is a key culprit in the obesity epidemic but it is not the only culprit. It still goes back to the super sized world we live in and the quantity of food and calories we consume on a daily basis. We can’t just demonize sugar. We have to truly change the way we live and demand that the government support us in our change to a healthy lifestyle through its policies and mandates whether it be in the schools, our healthcare system, the USDA or FDA. Fed Up clearly shows us the need for change. This is an important movie for everyone to see. Just don’t watch it with a bowl of buttered popcorn. You will thank me later. 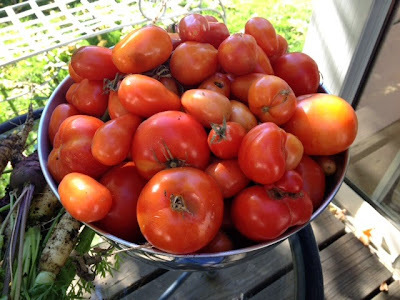 Our Late Harvest Tomatoes (photo by LivligaHome). Sometimes you just need to "let it go"! Product Review—All-Clad 7QT. Electric Slow Cooker (photo by LivligaHome). When the autumn comes, out comes my slow cooker. I love the ease of meals prepared with it. And you can’t beat the aromas wafting in the air as your meal cooks. This year dear friends came to visit us and as a thank you they sent us an All-Clad 7QT. Electric Slow Cooker. Christmas came early. I am blessed with great friends who know how much I love to cook! This slow cooker is definitely a major upgrade from my ancient crockpot. Don’t get me wrong, I have loved my crockpot and it has served me well. It was given to me by my mother-in-law 15 years ago. I can only imagine the number of meals I have fixed for my family with it. The All-Clad is a next generation version with multiple new features. It is much bigger. It holds 7 Quarts. I can’t tell you how many recipes I have made with my original 6 Quart crockpot where the lid would not fit on tight because the ingredients mounded over the pot. In making my chili in the All-Clad there was room to spare and the lid was nice and snug on top. It is designed so you can brown ingredients in it right on the stove. This is a really cool feature. When browning my onions and meat I was able to place the insert of the pot right on the stove, brown my ingredients and then place the pot back in the slow cooker base. This makes cooking even easier and with less clean up. It has a programmable feature where you can start on high and then go to low for cooking. Anybody who cooks regularly in a slow cooker knows how cool this feature is. Three-fourths of the recipes call for starting on High for the first hour or so and then setting it to Low for the rest of the cooking time. This is a hassle because you have to remember to do it or you are no longer around to do it. Now with this All-Clad I can set the heat as specified by the recipe and go about my day. Super cool. It has an attractive exterior. This slow cooker is really good looking. No more worries about serving from a slow cooker if you have friends over. The insert is non-stick. This makes cooking in it a breeze. Cleaning it is also hassle-free. You just have to make sure you use non-metal utensils with it and when you clean it you can use abrasives. The only slight drawback I see is that it is not dishwasher safe. You need to wash it by hand. In reality it would be hard to fit in the dishwasher and fit anything else in too so you would probably want to wash it separately anyway. The verdict is: I love the All-Clad 7QT. Electric Slow Cooker. It is my new favorite go-to gadget. I am eager to test out more recipes in it. It definitely makes a wonderful gift. Fit2Feast Challenge: Kick off the holiday season the healthy way by completing at least 10 minutes of exercise each day November 1-26 (photo by LivligaHome). Halloween seems to start the feeding frenzy of the holidays for all of us. Our good habits go out the window and our waistlines increase. At a certain point many of us stop stepping on the scale and hold on to the hope of the New Year. We check out mentally. But wait a minute; do we really want to end the year this way…again? There is a way around this black hole to our healthy lifestyle. It does require hanging in there and being present. We do have to recognize the choice is ours. And no, I am not talking about giving up anything or skipping Thanksgiving. I am talking about choosing to continue to live our healthy lifestyle all the way through the holidays. Old habits die hard, believe me, I know. If we hang in there together we can start a new trend this holiday season. 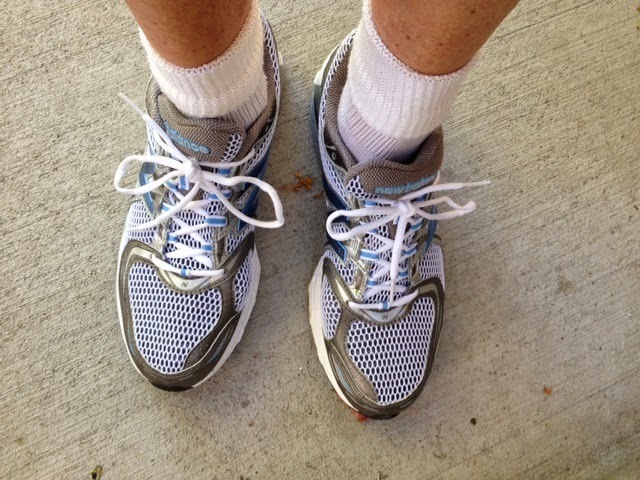 The only way I know to beat an old unhealthy habit is to deliberately do something new. It also has to be fun. And if it involves having fun and doing it with others chances are we will succeed. Here is the pitch: Why not join in a challenge? SparkPeople has put out a challenge to have all of us to exercise everyday for the month of November for at least 10 minutes a day. How great is this?! 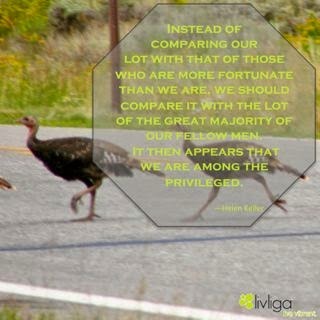 By joining the challenge it will help us stay focused, do something good for ourselves instead of something not so good and we will really feel we have earned our Thanksgiving dinner by the time it rolls around. Here are the challenge specifics: It's all about keeping your priorities front and center--and we're here to help you do just that with a month-long consistency challenge. Kick off the holiday season the healthy way by completing at least 10 minutes of exercise each day from November 1st to November 26th (the day before Thanksgiving). For bonus points, try to squeeze in 10 minutes on Thanksgiving Day, too! The best part? We'll be there to support you along the way. Each day of the challenge, you can post to Facebook, Twitter, or Pinterest by using the hashtag #Fit2Feast to stay accountable and let us know how you're doing. Then, we'll serve up tips and encouragement to keep you headed in the right direction! Are you with me?! #TeamLivliga is in. Come join in the challenge, have some fun and help the rest of us stay accountable too. Here’s to all of us having a Happy and Healthier Holiday Season! 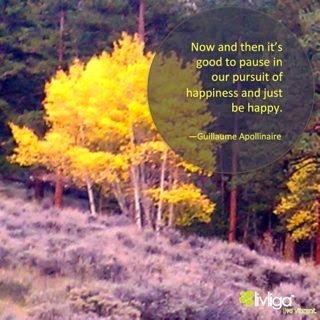 As we head into the holiday season it is good to pause and remember to just be happy.